It’s hard to argue with this when you see it written in the sky! I pulled the general ideas in this article from an anonymous commenter on an unrelated website. The idea, Wipe Out Cancer, got me thinking. Why not research a few of these remedies for cancer, if you have a spare 30 minutes? See what YOU think. Use discernment (your own wisdom plus your higher self). Yes, this stuff! 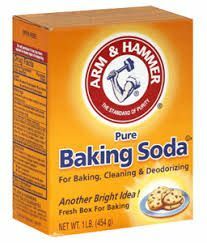 Combine baking soda with maple syrup. Combine these two substances at a ratio of 1:3 (1 part of bicarbonate of soda to 3 parts of maple syrup). Mix them together in a saucepan and heat until warm. Drink this and take it at the start of your day, when you are up and about and have a bathroom available. The reason behind this cure? The “stomach” of cancer cells are on the outside the cells. This location of the stomach means there is a large surface area to feed. Remember that cancer cells love sugar. Sodium Bicarbonate has oxygen atoms which destroy cancer cells on contact. So the sweet stuff –the maple sugar– “drives” the cancer killer–the sodium bicarbonate –straight to those cancer cells and the sodium bicarbonate kills them off. Thus, you have a huge die-off. You may find yourself with the sudden need to go to the bathroom. So, again, DO NOT take this just before sleeping. Take one or two drops under the tongue. 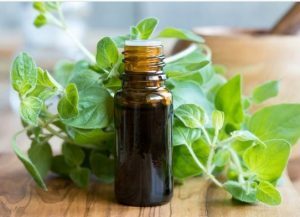 Oregano oil has a very potent flavor and sort of stings if you have too much. So, take just one or two drops, under the tongue. Under the tongue is where substances are absorbed very, very quickly into the blood stream. A 2011 French study found that oregano contained 46 compounds, the predominant phytochemical (natural plant-based compound) being carvacrol. A recent search of the PubMed database revealed over 1,200 studies on carvacrol. Carvacrol is a phenol that works in an interesting way against bacteria. It breaks through the outer cell membrane that protects bacteria from being discovered by the immune system. This then allows the immune system to detect and destroy invading bacteria. Yet for healthy cells it is completely non-toxic. Such is the wonder of nature! 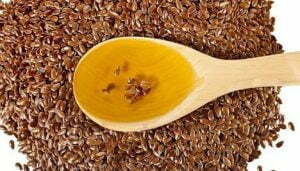 The Budwig Diet is the most well known diet where flax seed oil and cottage cheese are central to the protocol. Here is information on the Budwig diet from the Cancer Tutor website. Here is an interesting website, created by Jim Humble, regarding this substance, a sodium chlorite solution that is very low cost and is effective against a lot of maladies. Another website at the Foundation for Alternative and Integrative Medicine, looks at the substance from a higher level, its potential for those living in poorer countries, and recommends further research be done. Project Camelot interviewed Mr. Humble in 2008. 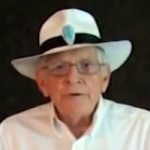 Be careful about your research with MMS (there is a lot of disinformation out there) and be sure you have the chemical names absolutely correct. Diatomaceous earth is very fine powder that consists of fossilized remains of diatoms. Under a microscope these particles have tiny hooks all over them. The particles “hook” or “capture” anything that is a parasite. Parasites are known to cause cancer. In some places, a one-pound bag is about $5.00 plus the shipping charge. Drink lots of water with this. The powder can be sprinkled on food and has no taste. A Canadian nurse, Rene Caisse, treated her patients with this inexpensive tea for years. There are a lot of “not-quite-there-but-sound-similar” products out there, so be careful. The Canadian medical board made life difficult for Rene Caisse, even though it was the medical board who gave her the patients and supported her in the first place. The Essiac Tea is believed to be based on American Indian and First Nation, Canada protocols. 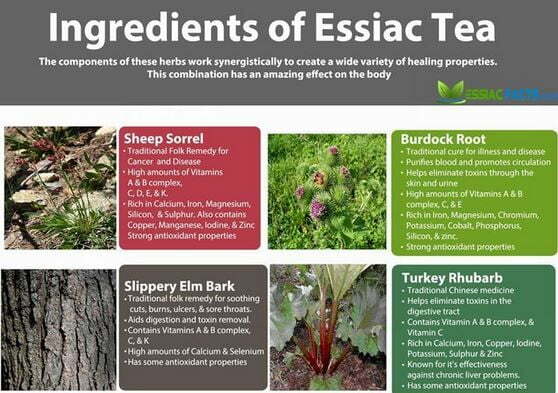 Here is some additional information from The Cancer Tutor on Essiac Tea, which explains when to use it. The Truth About Cancer website also has a recipe for the tea. The best colloidal silver is made using high voltage, or 2000+ volts. You can use the electronics from a microwave oven after ditching the magnatron (the radiation creating bit). Look up the youtube channel of Bruce McBurney. He walks you through the steps of making a “colloidal silver-making-machine” using one of these. This is the system Dr. Horowitz uses to make his colloidal silver, though he does not give any credit to Bruce. The person who wrote this original post believes Bruce was “taken out,” as he made the best colloidal silver in the world. Another disclaimer: I know somebody taking this but the cost is NOT under $100 per month. Here it is, anyway. Hemp oil is readily available online as a food product and praised for its 1:1 omega-3/omega-6 ratio. It is made from hemp. 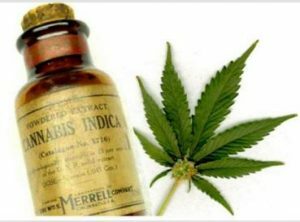 CBD oil (also known as (“CBD hemp oil”) contains high levels of cannabidiol (CBD) and low THC(tetrahydrocannabinol) levels, which is regarded as medicinal, but not psychotropic. It is also made from hemp. From what we can tell – although this conclusion is mostly based off of personal reports and not clinical trials – conventional Cannabis oil (being rich in THC) gets people “high,” whereas CBD oil cannot. Also, taking the oil as a suppository is what many people do. Here is a downloadable book to help you step outside the box. More words are below from the original comment I came upon. 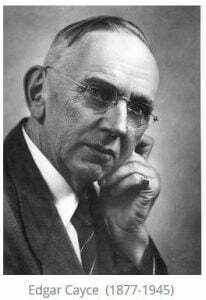 I am adding here some information about Edgar Cayce. “Cancer is as easy to cure as a common cold is. All the above were given to my dad (apart from the cannabinoid oil) when I found out he had bone cancer. Six (6!) months after starting to take the above he was cancer free. “The cause of cancer was discovered by Dr. Johannes Fibiger and he got the Nobel Prize for his discovery in 1926. Dr. Otto Heinrich Warburg discovered that a high pH level in the body prevented cancer from taking hold. He actually found that a high pH solution killed off cancer cells. He received a Nobel Prize for that in 1931. “And they talk about the theory of a high alkaline diet. It’s not just a theory. (Edgar Cayce, the renowned “sleeping prophet” who diagnosed people from a trance state, nearly 100 years ago, told everyone who came to him about the health benefits of an alkaline diet for nearly all diseases). You can check out Edgar Cayce and his life and teachings at the The Association for Research and Enlightenment. And here is a summary of some of the teachings of Edgar Cayce. Again, do your own research. And drink some pure water while you’re researching! Check out ‘Protocel’ explained at www.outsmartyourcancer.com for about $100/month. Also check out PawPaw explained at www.pawpawresearch.com – even cheaper. In the book “Outsmart Your Cancer” by Tanya Hirter Pierce, this author tells about her favorite anti-cancer product called ‘Protocel’ and the numerous people who overcame cancer with this unique antioxidant that kills anything anaerobic in the body. It even helps put an end to other diseases that have anaerobic characteristics. The book contains other ways to overcome cancer also – some you haven’t mentioned (like PawPaw). You can find out more by going to www.outsmartyourcancer.com and www.pawpawresearch.com. And they are very inexpensive – overall. The Protocel costs about $100/mo and the PawPaw capsules are much less and you can get them online. You can take both together for a very powerful effect. Thanks Cecille. I agree with you. I figured a “quick and dirty list” would get a few mental gears turning out there! NO mention of the STRONGEST cancer killer of ALL??? Silver Hydrosol??? Yikes! How did you MISS That one??? 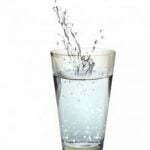 I do mention colloidal silver in the article. Colloidal silver doesn’t have a photo to go with it, though. You’ll see it there, if you look. Thanks for your comment! Cancer does not only have one cause nor does it have only one cure, but cancer is curable unlike what is propagated by the mainstream healthcare cartel. Administering chemotherapy is one activity I regret ever being involved with. I was too young and clueless. These days there is no excuse for ignorance with the availability of so much information from the information superhighway, even with the Cabal suppressing cures and truths. Plain laziness to investigate or research is the only stumbling block left.